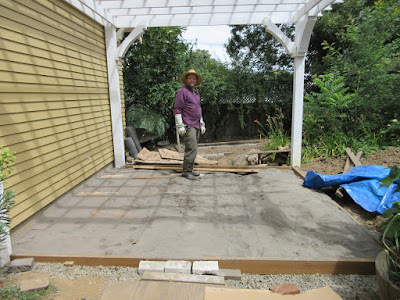 Laurelhurst Craftsman Bungalow: Pavers Installed! 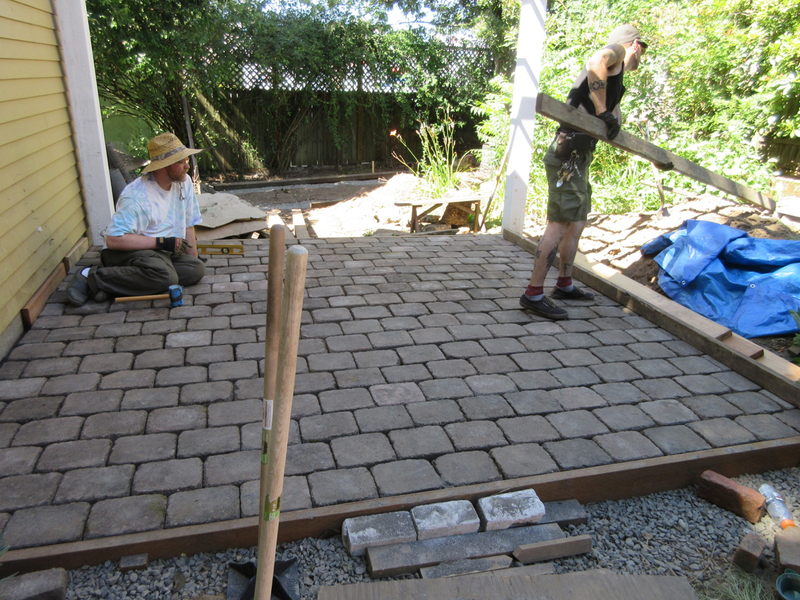 Jeff and Aaron worked the last two days installing the pavers in our back patio. Yesterday they worked at putting in the rest of the gravel and then spreading the sand. Later in the afternoon, our block had a block party. I didn't think to bring my camera and take pictures, but there was a great turnout. I'm not sure I've seen that many neighbors outside at once. The weather was gorgeous. 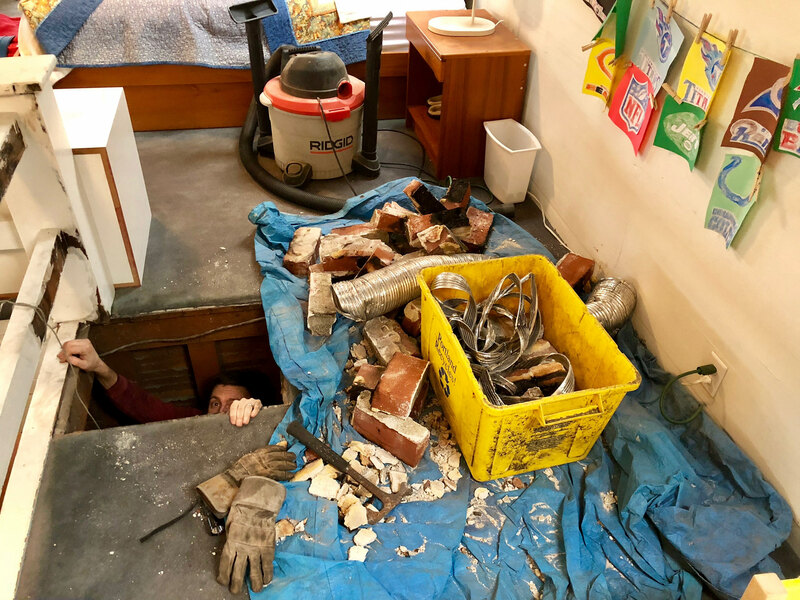 Today, they resumed where they left off. 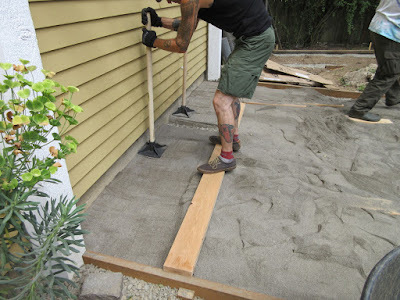 They spread out the sand fairly evenly then tamped it. 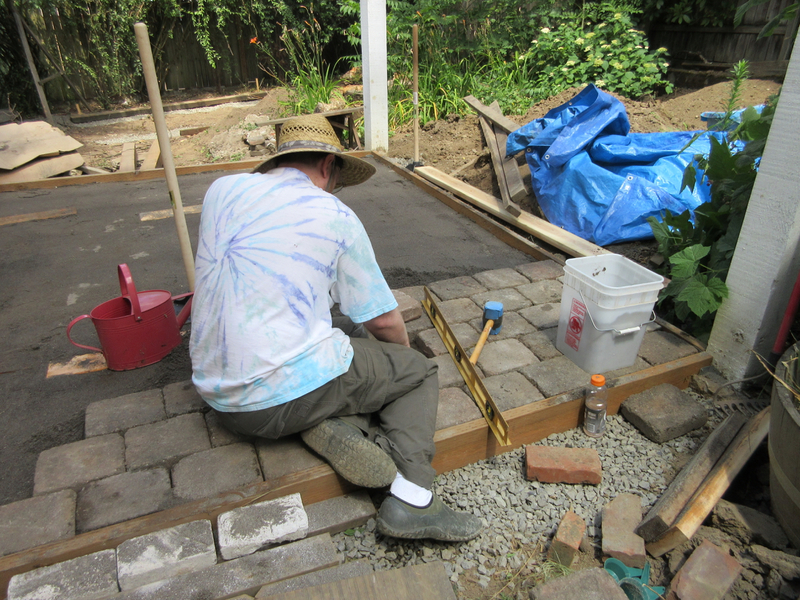 At the beginning, Jeff carefully laid out each paver and carefully set it. 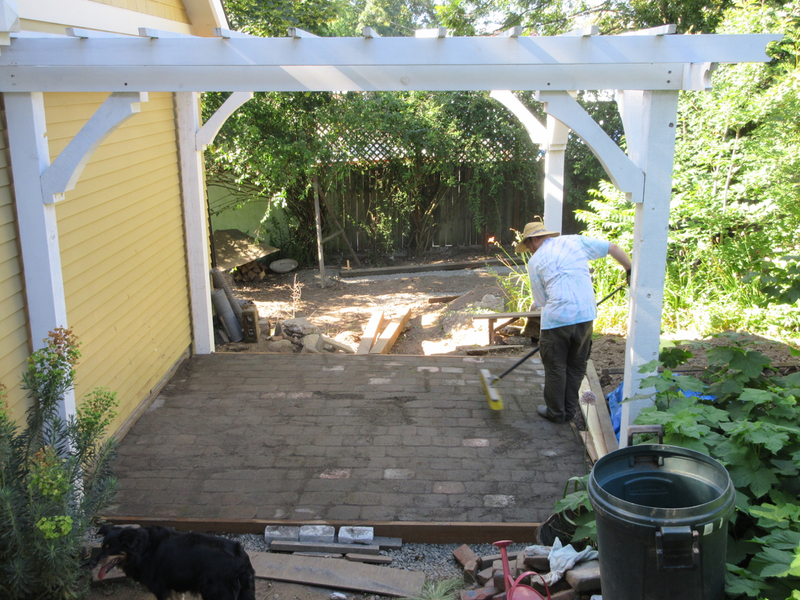 Then somewhere along the line, they decided to just fill up the whole patio space and then work on spacing, sloping and setting the pavers. 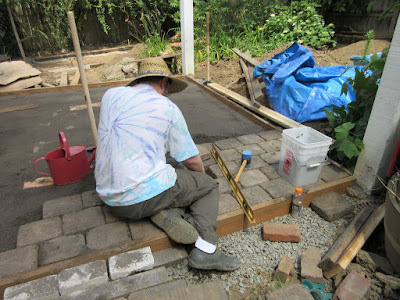 There was about a 2" gap along the edge using the pavers as is, so they decided to just add a piece of wood to fill the gap so we wouldn't have to spend a lot of time cutting them. 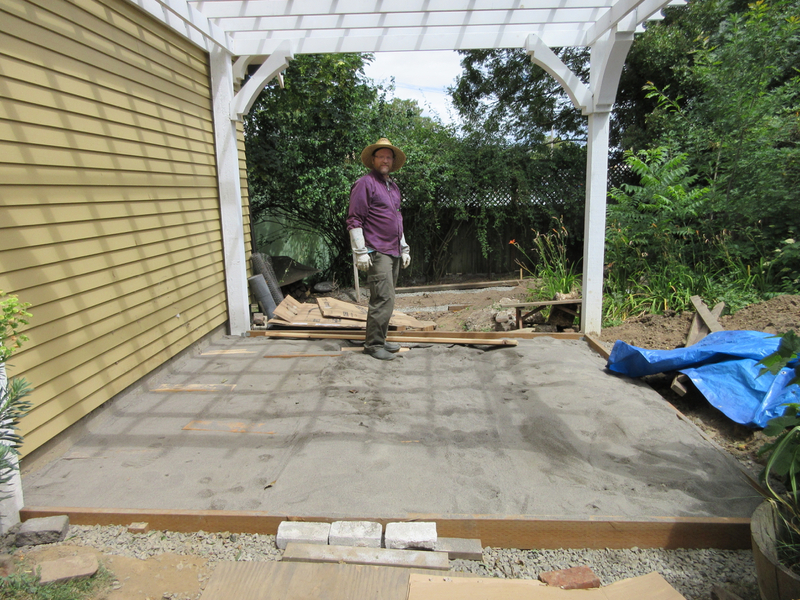 Jeff sloped the floor down to the edges, so water will hopefully flow off the patio when it rains. About an hour of fussing later, they started filling the gaps with sand to permanently set the pavers. The bricks look a little grey right now because they're wet. They sprayed it all down to help settle the sand into the gaps between the pavers. They're also still a little dirty. We'll try and clean them more tomorrow.